I seem to have some difficulties with my reading. The two earlier books (and some others I haven't mentioned here in the blog) I almost slogged through. This one was more fascinating, but it didn't grab me the way I hoped it would. No way I would call Gilgamesh the King a bad book, though. Even though I have only admiration for Robert Silverberg (and have published his works in Finnish! ), I have read only few novels or short stories by him. I bought the Finnish translation of Gilgamesh the King when it came out some ten years ago (and I also have the English paperback version of it, with Silverbob's signature! ), but I got to read it only now. I didn't really know what goes on in the original epic, but I believe Silverberg has it nailed. This is a realistic version of Gilgamesh's story, told in an archaic, but believable manner. There are some great adventures along the way, but I found that I couldn't really concentrate, and it took my over a week to finish the book. Maybe it's the stress, the feeling I should be reading something totally different, or at least something work-related. The book got more interesting in the end, when Gilgamesh goes on a journey to find out how he could keep himself alive as long as he wants to, only to find himself. The ending has misogynous undertones, which I felt were a bit distracting. Nevertheless, highly recommended, not only because it's by one of the great masters of his generation. It's too bad I missed seeing him during the last year's WorldCon in Helsinki, Finland. I really liked Urban Waite's first novel, The Terror of Living. It's a tough crime novel, a bit reminiscent of Cormac McCarthy, but standing still very much on its own. 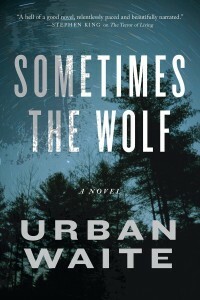 I haven't read Waite's second novel, The Carrion of Birds, but I happened to pick up his third novel, Sometimes the Wolf, not long ago, and now I decided to read it. I don't know what happened. The book started out strong and well and I got the hang of it. The story about a bad cop getting out of prison possibly looking for the loot of 200,000 dollars and his son working as a sheriff in a small town felt interesting. Then somewhere on page 150 or so I realized I didn't anymore know what was going on and what the persons were after. There had been too many days when I'd only been able to read only a few pages, and that started to show. I pushed through, since the book was well-written, but even in the end I couldn't really tell what had happened between. The ending was strong, though. I really wanted to like this. Hell, I would've liked to know what happened in the book! I'm sure it's totally my own fault - it's been really hectic around here for some time now, and I've also done some travelling, which is never good for reading. As I said, the start of the book was really strong with interesting characters and a good plotline. Nevertheless, next I'll pick up Waite's The Carrion of Birds. It was translated in Finnish, as was The Terror of Living, but I believe Sometimes the Wolf won't be, which is a pity. 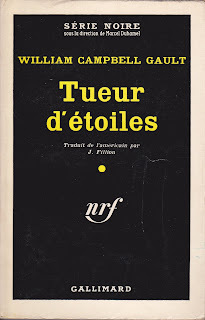 I once spotted a French Série noire edition of a novel by American hardboiled crime writer William Campbell Gault. 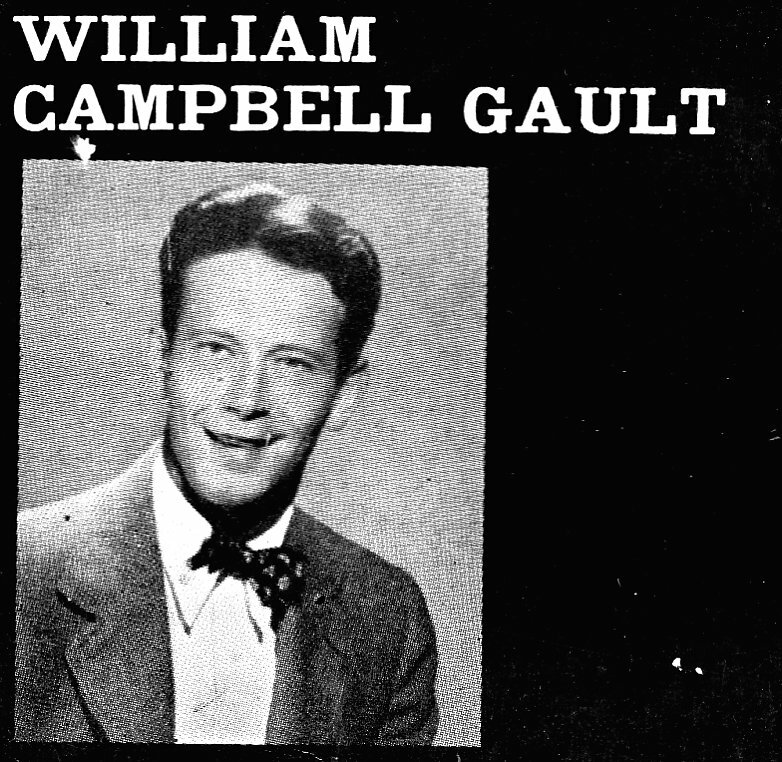 As I don't speak French, I had no use for the book, but I noticed it had a photo of Gault in the back. So, here it is, with the actual cover. 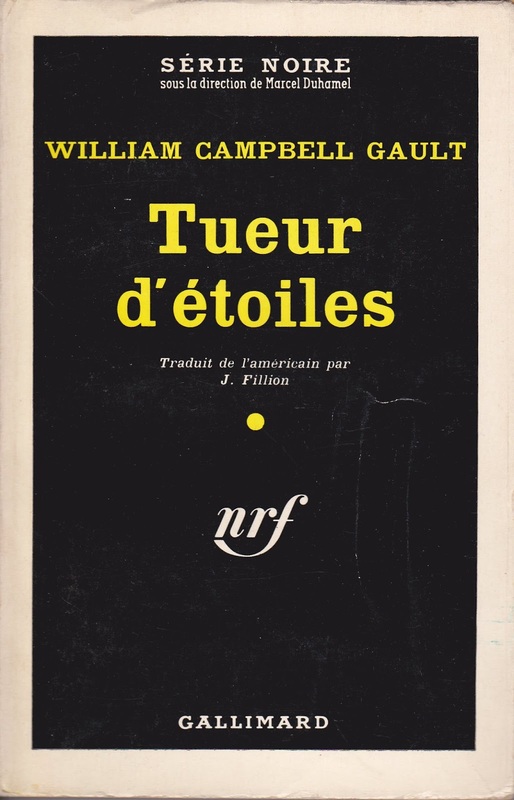 As the French book covers usually go, this is pretty bland.